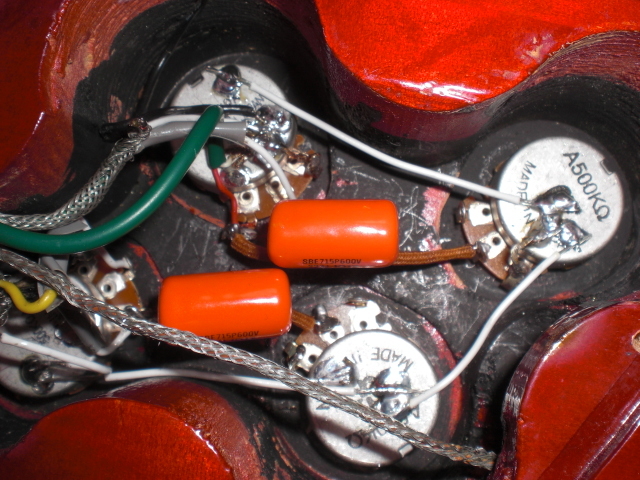 I replaced ceramics capacitor with Orange Drop capacitor when I rewired my Yamaha Les Paul. Why I choose Orange Drop is that there are many opinions which say Orange Drop is the best and the price is not expensive. Of course I could not hear the difference between an Orange Drop and other type of capacity in a blind listening test.